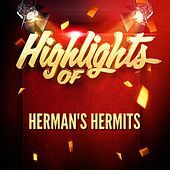 Herman's Hermits are the band you hear in between "At the Hop" and "Walk Away Renee" on your local oldies station. A laundry list of hits has secured them a permanent place in the rock 'n' roll psyche. 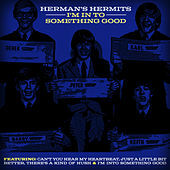 With lead singer/faint-inducing heartthrob Peter Noone up front mewling like Oliver Twist, Herman's Hermits hit with bracingly sweet pop songs that had a skiffle-ized beat and Beatles-bandwagon harmonies. They were a more parentally palatable version of the Beatles, with tamer material and a good-boy image. "I'm Into Something Good" and the sublime "Mrs. Brown You've Got a Lovely Daughter" were followed up with the nerdily rocking "I'm Henry the VIII, I Am" -- songs destined for perpetually nostalgic rotation. These days Peter Noone spends his time making fun of himself as he hosts the occasional special on VH-1.